Cute, plus pretty, plus fun! Fabulous scene, design and coloring! That shaker window behind the princess is really perfect and your coloring is just adorable! Thanks for the inspiration! c’est tellement mignon, avec cette jolie princesse ! bravo ! 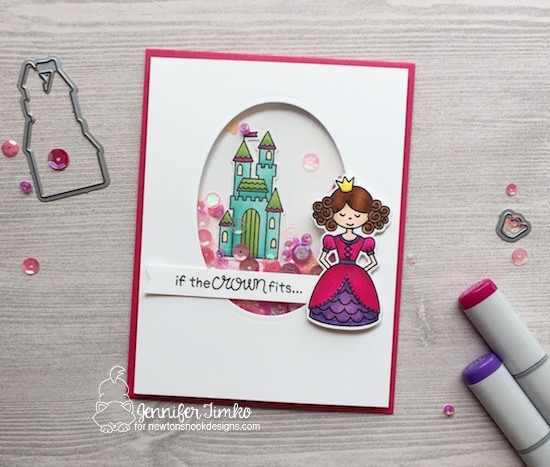 This princess….and this card….is oh so pretty in pink! 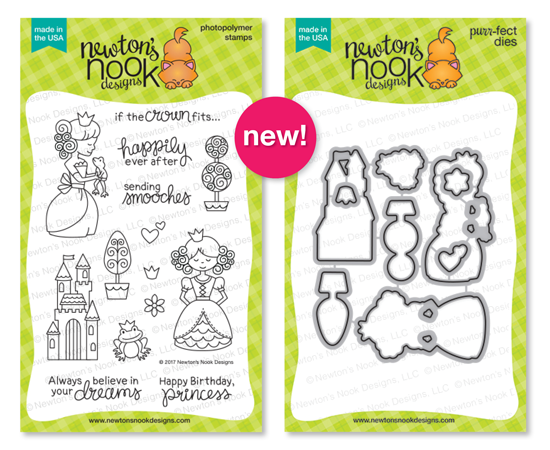 And all princesses need sequins! Adorable! This card is adorable! So creative and beautifully executed. The recipient is sure to love this! Lovely shaker card! Those sequins are gorgeous! Beautiful card, the sentiment is just perfect!!! Great shaker card! Love the pink and purple princess. The shaker card is fabulous!!! This shaker card is so pretty! I really like the clean look it has with the dark pink making everything just pop! So sweet with the oval shaker.